Many people come to Ireland not only to tour the country and see all our gorgeous scenery but also to research their family tree and find their roots. Ireland was one of the first countries to adopt heredity surnames – dating from the time of the High King Brian Boru in the 11th century. Most surnames originally would have had a Mac or Mc meaning “son of”, deriving from the Irish for son – mac – while others had an O - “grandson of”. Over time some branches of the family lost their prefixes, while others maintained them. Further still, some families or clans moved away from the area they were originally from and so you may find the same family name clustered in different parts of the country. Another aspect of Irish surnames is that during the Penal Laws, many Irish surnames where Anglicised, so while at first glance they may not appear to of Irish origin – such as Holmes or Bird - they actually are. Irish surnames are also emerging as first names in recent years, with Logan, Kelly, Reilly, Kennedy, Ryan and Quinn amongst the most popular. In general, Irish surnames can be broken into 3 groups: Gaelic Irish, Norman and Anglo Irish. Here are some of the most popular Irish surnames and their origins, which I hope will help you on your genealogical journey! Byrne /Ó Broin: The name derives from the Irish meaning “raven” and are descendants of Bran or Branach. Originally located within Kildare, they were driven to the Wicklow Mountains by the Anglo-Normans in the 12th century and today can be found in counties Dublin, Louth and Wicklow. Hollywood stars Gabriel Byrne and Rose Byrne are some of the most famous clan members! Kelly/ O'Ceallaigh: descends from Cellach meaning “strife” , although sometimes referred to as “bright-headed”, the surname is found in counties Antrim, Galway, Meath, Sligo and Wicklow. It is also spelled Kelley and Kellie. Actresses Grace Kelly, Minka Kelly and out-law Ned Kelly all owe their origins to this clan. Murphy/ O'Murchadha: meaning “descendant of a sea warrior” or “strong” it is the most common surname in Ireland. The Murphy’s have several branches but are found largely in Armagh, Cork, Carlow and Wexford; the largest grouping of which can be found in County Cork. Famous Murphy’s include Eddie Murphy, Brittany Murphy and Cillian Murphy. O’Brien/ Ó Briain: this surname dates to the High King Brian Boru – the man who first introduced surnames to Ireland. The O’Brien’s have many branches but counties Clare, Limerick, Tipperary, and Waterford are their strongholds. Due to their noble origins, the surname means “high or noble”. O’Connor/ Ó Conchobhair: this clan has over 6 different and distinct branches, most common in Clare, Cork, Kerry, Offaly and Roscommon. As well has having lots of branches, there are also lots of variations of the surname’s spelling such as Connors, Connar, Conner, O’Conner, Connaires, Cawner and Caunnor! O’Neill/ Ó Néill: this family can trace their tree back to the Niall of the Nine Hostages – a powerful king who’s family ruled Irish political and military life for over three centuries. Mostly found in Tyrone and Derry, there are several branches in Carlow, Waterford and Clare also. Neal, Neale, Neill, O’Niel, O’Neil and Neales all derive from this clan. O’Reilly/ Ó Raghallaigh: descended from Raghaillach, this name is still plentiful in their original stronghold of Cavan and Westmeath. O’Sullivan/ Ó Súilleabháin: meaning “dark eyed” or “hawk eyed” the majority of the clan are in counties Cork or Kerry. They can count actress Maureen O’Sullivan and American TV host Ed Sullivan amongst their brethren. Ryan/Ó Maoilriain: largely found in Limerick and Tipperary, it translates as “little king”. Famous Ryans include actress Meg Ryan. There are several surnames that all come from Ryan such as Mulryan, O’Ryan, O’Mulrian and Mulrian. Walsh/Breathnach: the Normans brought this surname to Ireland and literally means “Welshman”. 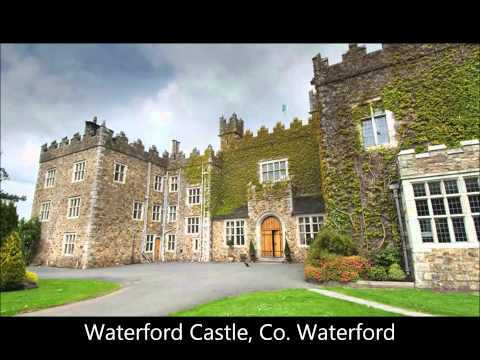 It is popular in Kilkenny and Mayo, with Walshe, Welsh, Breathnach and Brannagh all derivations of the surname. So have you found your surname amongst these names? For some more information on getting started on your Irish tree take a look here or contact me directly for some tips and advice. Or perhaps you are further along your journey and now wish to walk in the footsteps of your ancestors, so Get a Quote from us today and let us help plan your visit home!